Last week, the world was fixed on Pope Francis as the Holy Father made his historic Apostolic Journey to the United States. Everywhere Francis was greeted by jubilant crowds of all nationalities, races, traditions and ages. Happily, in addition to the thousands of pilgrims from both Dioceses who attended the papal events, several Virginia Catholic Conference staffers were there, too. As with all other pilgrims, attending the events required setting early morning wakeup alarms and good walking shoes. But these small sacrifices paid off with many graces! Following a canonization Mass on Wednesday for St. Junipero Serra, the California missionary who brought the faith to California, Pope Francis became the first Pontiff to address a joint session of Congress on Thursday. 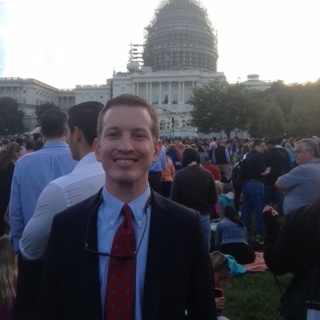 Conference Associate Director Michael Lewis joined an exuberant crowd of thousands to watch the historic address from the West Lawn of the U.S. Capitol and greet the Pope afterward when he appeared on a Capitol balcony. 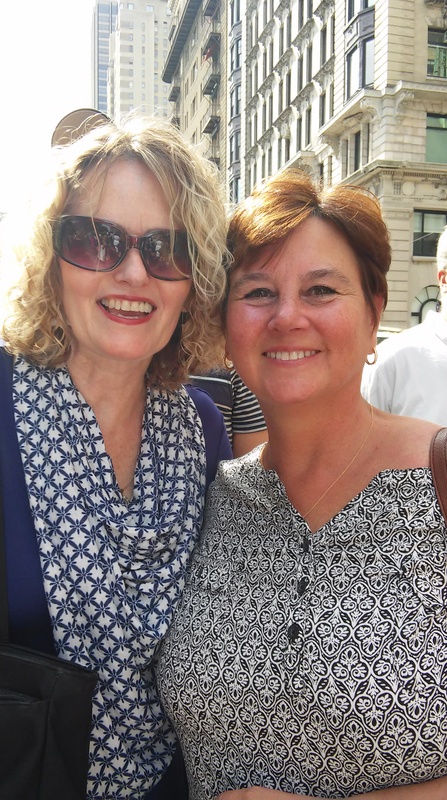 Later Pope Francis greeted tens of thousands in Central Park, including Conference Office Manager Lynne-Marie Liggan, a native New Yorker. “We were corralled and herded, just to see him for not even one minute, but it was worth it,” she told the New York Times. “Amazing grace abounded!” she wrote in an email while en route back to Richmond. On Saturday, Pope Francis arrived at his ultimate destination, the reason for his U.S. journey: the 8th World Meeting of Families in Philadelphia. In a homily and an evening address, Francis spoke of the most sacred institution and treasure, the family. The next day, he celebrated Mass before hundreds of thousands of people who spread across the Benjamin Franklin Parkway. During his trip, Pope Francis visited a homeless shelter, a Catholic school, the Little Sisters of the Poor, a prison and a seminary. He also met with victims of clergy sexual abuse to once again seek forgiveness for the sins of priests and bishops. 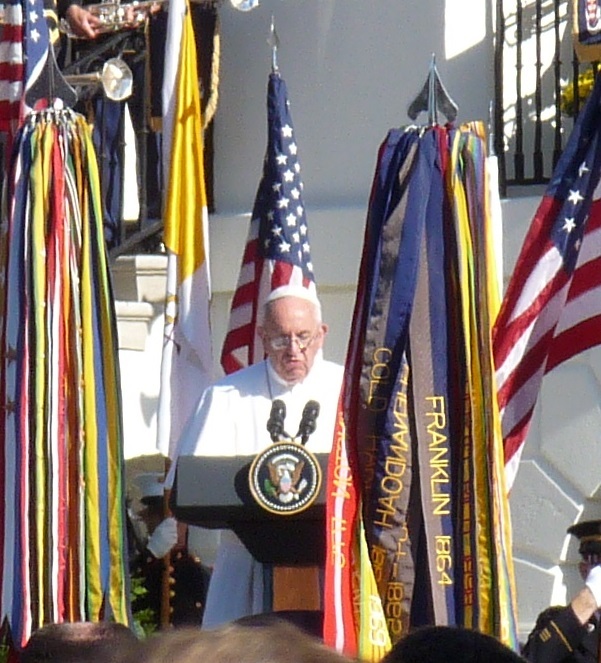 Pope Francis’s Apostolic journey to the U.S. was a grace-filled time. May it continue to bear fruit for the Church and the world for many years to come.